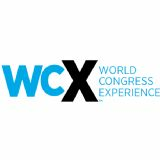 WCX20 is a full-sensory event experience that immerses you in the forefront of the automotive and mobility industries. Spend three days discovering new ideas on the exhibit floor, in intimate venues, and in networking events. Attendees can now receive technical knowledge and content in unique and engaging settings. This event model emphasizes active learning and increased collaboration through interaction and dynamic new event elements. In a setting of education and relationship building, these elements foster knowledge-sharing and review of the evolving industry.